I was checking out someone’s feed one time and clicked on a super cute photo (‘cause I mean, it was super cute) but the second I had to scroll to read the novel-length description I immediately clicked away. I can’t even tell you what the image was for… I was too turned off by the hella-long “omg this project was so special to me” speech written under it. Your post descriptions are not meant to belong! Keep them as short as you can while still offering the essential information and a little bit of pizazz… or you’ll lose people just like that. IF you want your followers to do something, you’re gonna have to flat out tell them. Even if it seems overly-obvious to you… it may not be to everyone. So don’t let potential customers fall through the cracks by not directing them. If you want them to visit your store, say “Click the link in the bio to shop this look!”. Car salesmen have the rep of being obnoxious for a reason. People love to buy, but they hate being sold. It’s okay to use a Call-to-Action as mentioned in Tip 12 if your post is promoting a product (you need to give them enough info so they CAN buy if they choose to) but when you’re engaging in comments, you should keep things lighter and more personable. Do some hashtag research on Iconosquare to find the relevant ones to your audience and post 4-5 as a comment on your posts. After 30 minutes, delete that comment and write a new one with 4-5 new relevant hashtags. This way you get the exposure of lots of hashtags without looking spammy. Always, ALWAYS post content for your audience and no one else. No matter how much you love that hilarious llama picture, if it has nothing to do with your audience then JUST SAY NO. If you post the content your target audience wants to see, those are the kinds of people that will follow you – not just llama lovers. If you aren’t sure who your target audience is, use this template to create some buyer personas and you’ll have the perfect idea of the right content to post. Instagram contests are a great way to boost engagement and excitement about your products but, I’m just gonna be honest with you… if you only have 80 followers, a contest isn’t going to do you any good right now. The last thing you want is to run a contest and get more cricket chirps than entries… it will make your feed look kinda sad. So right now, focus on growing your Instagram audience before you try running a contest, and then hit it hard when you have the right audience! 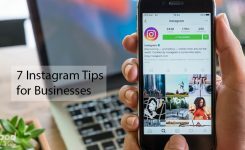 Unless you already have a well-known, highly searched brand, then chances are your Instagram account won’t just be found by potential followers. It’s up to you to bring them to you. How do you do that? You find them first! Use the hashtags your followers use because then your images will be categorized with the photos they are already posting and looking at… TADA they can find you there. 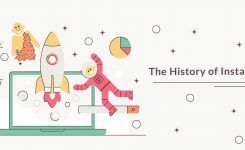 Use Iconosquare to do some hashtag research. Search those hashtags and comment on the people that use them (theoretically these should be your target audience). Write nice comments, “Diggin’ this photo!”, etc. They will appreciate the fact that you found them and took the time to engage with them… and that appreciation often translates to followers. When you think about bigger brands like Nike, Anthropologie, Urban Outfitters, you imagine a certain look and vibe, and that’s a huge part of how you recognize them. The reason they are recognizable is that they have a cohesive look. 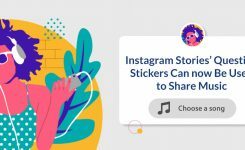 You need your brand to be recognizable, and be considered as professional as the bigger brands – so you need a cohesive look for your Instagram. No joke, I’ve seen way too many brands feeds with selfies. If that’s you… please stop! It’s one thing if you have built a brand around your persona (because then your face on your Instagram makes sense) but if you are a product based business, selfies really have no place here. Remember, ALL your content is about your AUDIENCE, not you. Some people think that if you follow someone, they’ll follow you back. That’d be great, but it’s really not the case. So if you are following 5,000 people and only have 500 followers, that makes you look bad. You want to look credible, and your followers let others know that they go to YOU for your content… not the other way around. 21. You’re Not Using Geo-tags for an Engagement Boost! 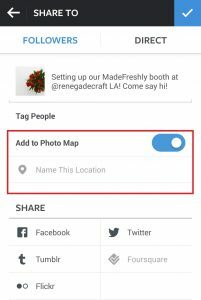 A cool option each of your posts has is to include a geo-location tag, basically to tell your followers where you are posting from. Posts using a geo-tag get 79% more engagement. This is PERFECT ammo for anyone that goes to events. Say you’re at Renegade in Los Angeles… geo-tag that shizz! Let everyone know exactly where you are. Or if you’re at a networking event, geo-tag your post and other cool people you’d like to meet will see where you’ll be.